Product prices and availability are accurate as of 2019-04-25 00:00:30 UTC and are subject to change. Any price and availability information displayed on http://www.amazon.com/ at the time of purchase will apply to the purchase of this product. You're strong. You're confident. You know you got this! 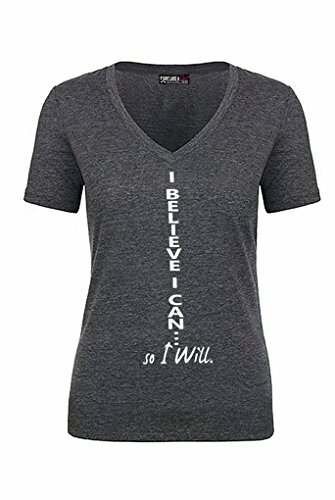 Wear your resolve and look great doing it with our I Believe I Can So I Will ladies' v-neck t-shirt in charcoal heather. 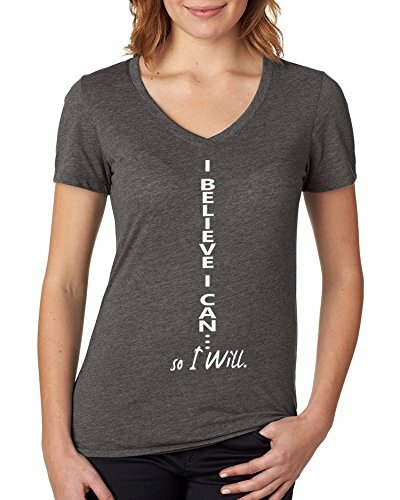 Featuring a soft and lightweight polycotton material, you'll stay cool and comfortable while sporting a reminder of your girl power. Note: This shirt hugs all the curves. For a less form-fitting fit, please order a size up.